Pork lovers, start your engines. 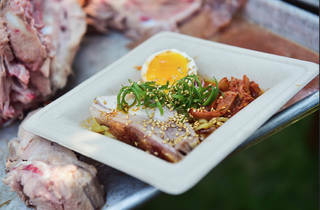 Heritage Fire, a whole animal, live-fire, outdoor food and wine festival will return to Charles Krug Winery in St. Helena on August 27, 2018—and we want you to be there. If you've never experienced this day in foodie heaven before, guests can expect to chow down on dry-aged beef, whole pigs, lamb, goat, squab, rabbit, duck, fish, chicken, artisan cheeses, oysters and heirloom vegetables made by some of the best chefs in the country—including 13-year-old butcher (yes, you read that right) Mackenzie Estes-Stewart of Zazu Kitchen and Farms. 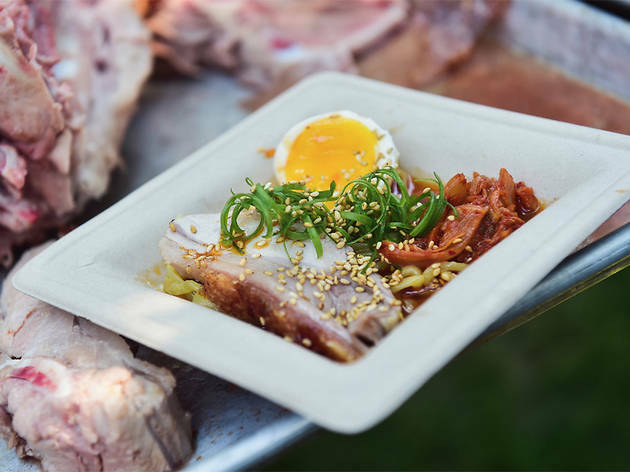 All in all, over 3,000-plus pounds of meats from family farms will be cooked, with endless helpings of charcuterie, a pop-up ramen bar, free-flow boutique wines from around the globe, micro brews and more. Besides eating the work of 50-plus chefs, guests can savor an extravaganza of live-fire rotisserie and demonstration butchery—complete with homemade grilling contraptions. Hungry yet? Enter below and you can win two VIP tickets to this meaty festival! CONTEST RULES: One entry per person. These competitions are open to any U.S. resident (unless otherwise stated) except employees of Time Out and sponsoring organizations, their agents or anyone directly connected to these promotions. No purchase required for this promotion. Contest valid 8/15/17 through 8/23/17 at 11:59:59pm EDT. Winners must be 21 years of age or older unless otherwise stated. Prizes are as described above; no cash alternatives will be given. Prizes may not be sold, traded, transferred or refunded. Any and all federal, state and local taxes are the responsibility of the winner. If for any reason winners are unable to use prizes within the time specified, the participating organizations are not responsible for providing replacement prizes. No make goods will be given in the event of a canceled or rescheduled event. Approximate retail value: $800.